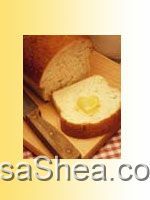 Homemade Bread Recipes - Pizza Dough, Italian Bread and more! Welcome to my Homemade Bread Recipes Page! I'm a HUGE fan of homemade bread, and have enjoyed making it for many years. 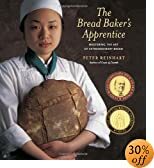 Most of my friends now have bread machines and/or make their own bread from scratch and we enjoy sharing recipes, tips and techniques. Please feel free to write with any suggestions or recipes of your own! Baking bread is something that connects us to our ancestors and to the countless others who have come before us. Bread is the staple of every culture, Every society has its form of bread that it enjoys. What types of bread are in your past? Bread is an easy food to make and enjoy. It's been made under almost any conditions you can name, and helped sustain people through all sorts of famine and trouble. Still, for truly delicious bread there are a few things to keep in mind. Fresh Yeast: While early man didn't understand what made bread rise, we understand the operations of yeast very well nowadays. Store your yeast in a COOL, dark location. Fridges work well to keep the yeast happy until it is used. Yeast in Warm Water: When you are ready to activate and use the yeast, mix it into WARM water. Not hot, not cold. It should be comfortable against the inside of your wrist. Cook at the Proper Temperature: It's tempting in our fast-paced world to rush to get things done. Bread takes time to rise and cook properly. Don't try to cut corners and rush it. Bake it at the proper time listed, give it time to rise and cook. You'll be very impressed at how delicious the final result is if you take your time!